Specimen X followed a LeanGains style intermittent fasting plan, He utilizd a 4 hour feeding window and kept protein consumption the same day to day (1.3 g/lb), limiting carbohydrate intake on non-workout days. 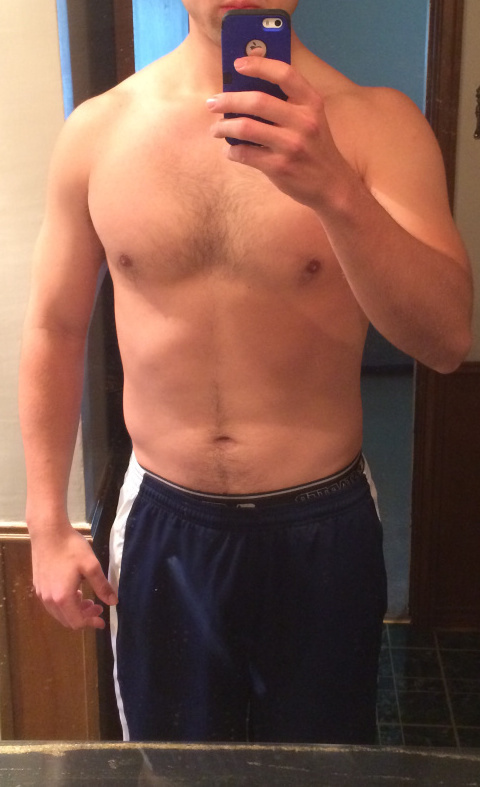 Also, Specimen X was in pretty decent shape in that first picture, just had a slight layer of fat. I was in decent shape to start with. SwoleFIT helped me go from 205 lbs down to 200 lbs. 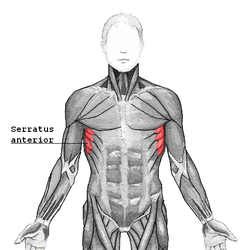 Muscle gain was noticeable in the biceps, shoulders, traps, and upper back. 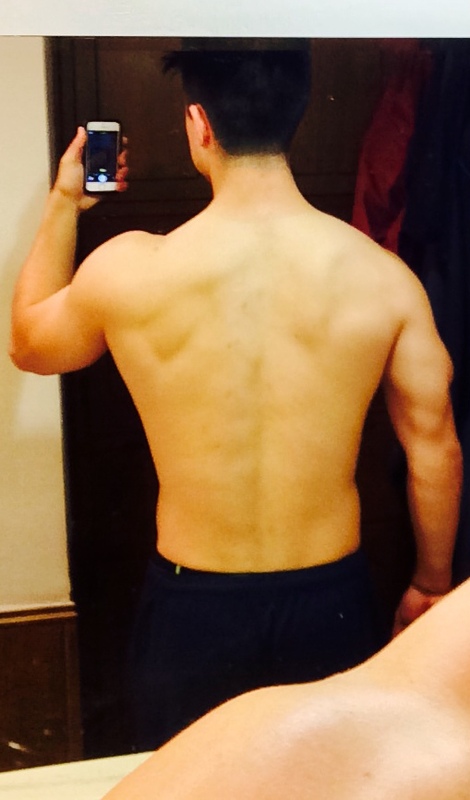 The upper back started to V out for the first time in my life. 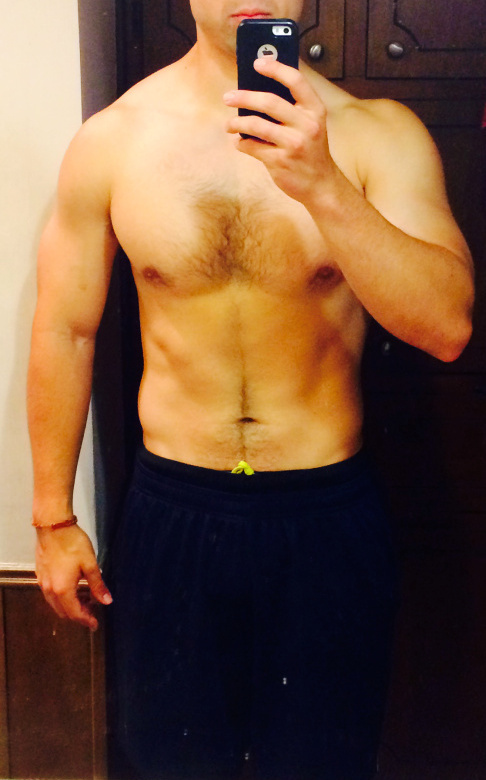 I also noticed my serratus anterior start to show and the fat disappeared from my sides. For the most part, the only strenuous cardio I did was Monday and Friday’s conditioning workouts. Those are some good results there swole brothas! 7:30 Usually some kind of meat or fish plus veggies. Sounds pretty good right? I think I wreck myself on the weekends with large amount of alcohol. I live in Japan, its what people do here. That does sound pretty good. You know, I realized that as long as I don’t gorge on food late at night combined with the drinking, it doesnt hurt my performance terribly during the week. I also try to cut back on carbohydrate intake during the weekends (except for booze) if I don’t do any physical activity. I think alcohol hurts the most if it’s consumed in copious amounts several hours after a tough workout. Also, if you drink these- http://www.amazon.com/health-personal-care/dp/B004M1BOC6 before you start to drink it really diminishes the effects of the hangover. That’s interesting though, I’ve heard Japan is a huge drinking country. Yoou are so cool! I don’t believe I have read something like this before. So nice to discover another person with a few unique thoughts onn this issue.